General Appearance: Active, intelligent, muscular, with a smooth coat, distinctive "bat-like" ears. Alert with an interested expression. His short coat requires only weekly brushing. Size, Proportion, and Substance: Weight-not more than 28 lbs. Background: With their unique appearance, the Frenchie may look like a miniature version of a Bulldog, but they have a personality all their own. 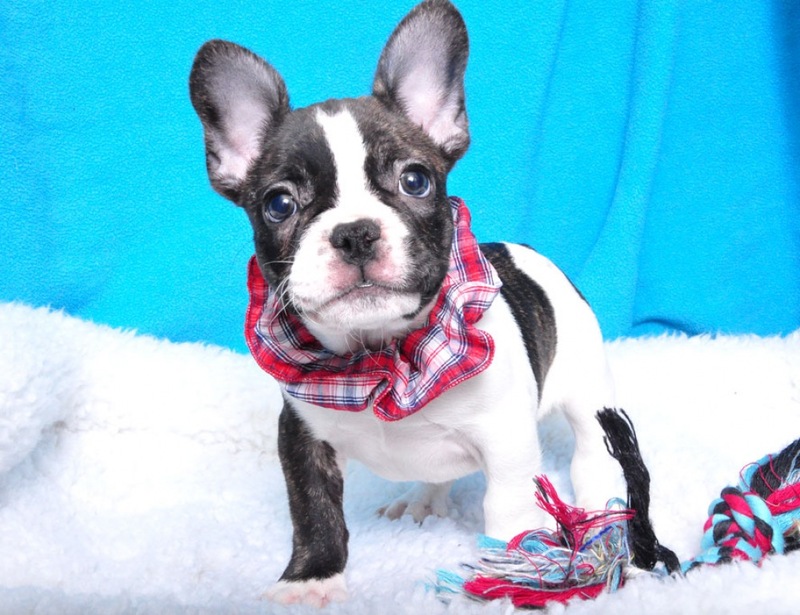 Frenchies are mild tempered companions, looking for friendship with people and animals alike. Although he's an excellent watchdog, he doesn't bark without reason. They are family oriented an enjoy the company of children, but may share a special bond with one family member. Their Bulldog history makes them a good watchdog, and they will bark to warn their owner of intruders. Typically quiet dogs, Frenchies may snort and snore due to their flat faces. They should not be exercised in warm temperatures.